You are here: Home / Great Deals / Mermaid Earrings Only $4.99! 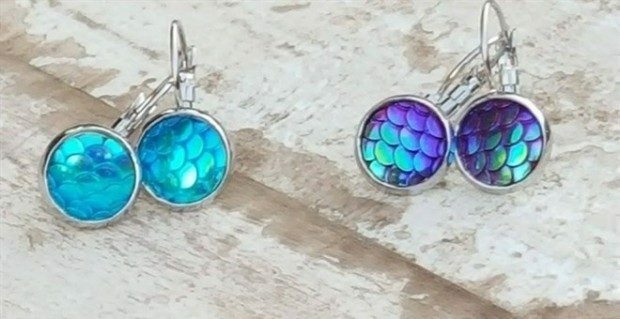 These Mermaid Earrings for Only $4.99 are going to be the talk of your wardrobe! Choose from earrings with a dangle or post setting and 6 colors. Available in 2 sizes 10mm or 12mm and 2 metal finishes!